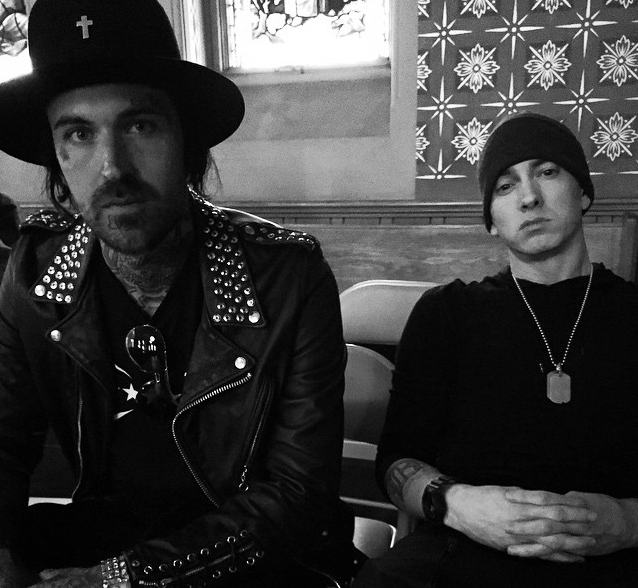 Eminem's protégé Yelawolf has recently confessed that he is an alcoholic. The "Best Friend" rapper was very candid about his addiction and the expectation of people not looking at him as a high-character guy in a recent interview. When he appeared on the ESPN program "Highly Questionable," Yelawolf admitted, "No one controls my drinking, but me. I'm the only person that can control that. God himself could not control my drinking. I'm admittedly an alcoholic and it's a problem." Yelawolf told the "Highly Questionable" hosts Dan Le Batard and Bomani Jones said he wrote a song about his addiction called "Empty Bottles" on his second studio album "Love Story," which was released on April 21. While he is not proud of his alcoholism, Yelawolf said it is in his genes. He said, "I do take breaks. I was sober for five months. That was my last sober streak. I'm back drinking again. It is what it is." Moreover, Yelawolf said he cannot deal with being sober and he does not expect people to buy his album because is a role model, which he thinks he is not. The rapper explained, "I'm just doing me, and if I wanna drink I'm gonna drink. If I wanna party, I'm gonna party. That's it. Drinking is my vice. When I'm done working, I'm gonna have a drink, that's what I'm gonna do." Aside from "Empty Bottles," there is another track in the "Love Story" album that talks about Yelawolf's alcohol addiction. It is called "Whisky In A Bottle" whose lyrics are about the mindset of being confident while under the influence of alcohol.